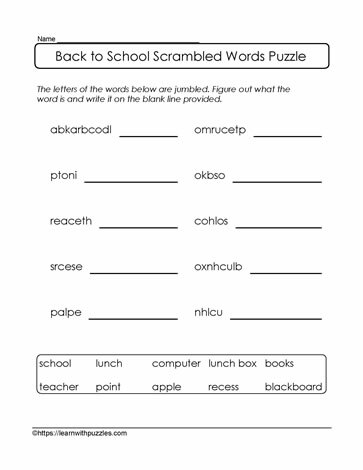 Introduction to Back to School words with this scrambled word puzzle. Suitable for classrooms, home schooled students and family fun. Downloadable.